When you’re good, you’re good. Windsor area wineries have smashed their previous record medal haul to bring home 33 medals at the 2018 Finger Lakes International Wine Competition. The awards total surpasses their previous best total of 31 set in 2015. 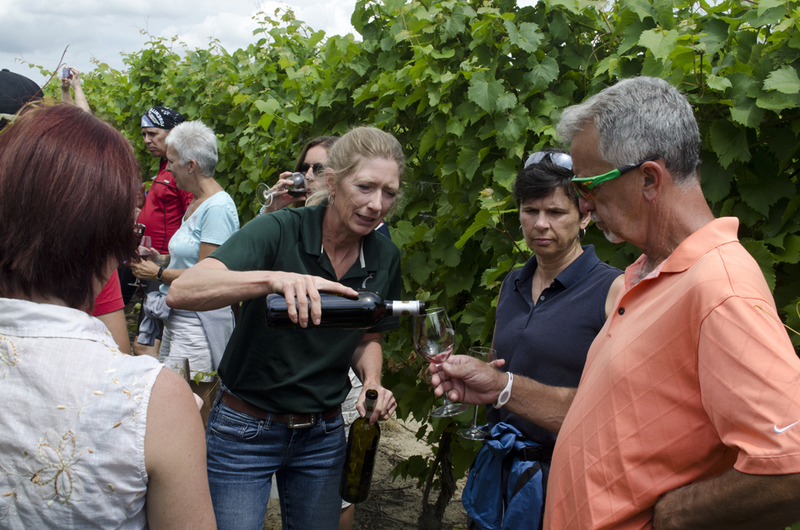 Leading the pack for the Lake Erie North Shore wine region was Black Bear Farms & Estate Winery, collected a whopping 10 medals. North 42 Degrees Estate Winery won 6 medals and Erie Shore Vineyard swiped 5. Other medals we won by Cooper’s Hawk Vineyard and Mastronardi Estate Winery. Black Bear took home a gold medal for their Elderberry and Black Current fruit blend. In a showcase of what our wine region is known for, 3 medals we were won for Cabernet Franc wines created here, including the 2016 Cabernet Francs from both North 42 and Erie Shore Vineyard. These medals are just another feather in the hat in showcasing the quality of wines in the Windsor, Ontario, region. This is one of many reasons why we absolutely love bringing locals and visitors alike to them on experiences such as our award winning Wine Trail Rides. The 2018 Finger Lakes International Wine Competition had 3824 wines entered from 916 wineries, representing 26 countries representation as well as 6 provinces and all 50 American states. Keep up the good work, winemakers!